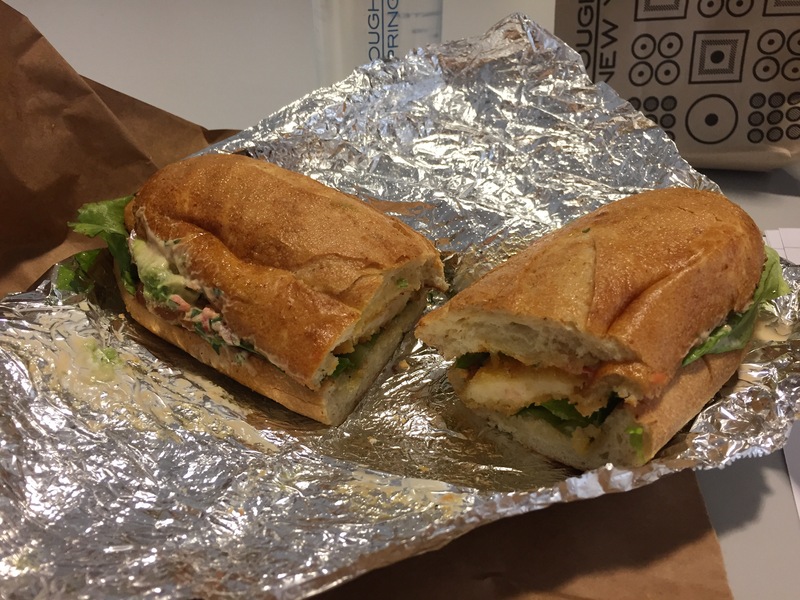 The Polillo mondito = Chicken Sandwich was good in theory: oven-baked breaded chicken breasts with avocado, tomato, and lettuce on cibatta bread. I had to take the sandwich apart (it was huge), and eat it open-faced, this avoiding the bread completely, and the lettuce leaves, which were too oily and greasy. The other parts I did eat were not bad at all, sans the sauce. The avocado was really fresh, creamy and green, the tomato perky and ripe, and the chicken was tender and meaty.